It’s so busy right now. You might let your writing take a back seat to the demands of the season, but I encourage you to stay strong and find some time to work on your craft. Here’s a little something I whipped up for the young writer that I am coaching. The Twelve Days of Writing is my gift for you, writer struggling through the season. Many happy returns! 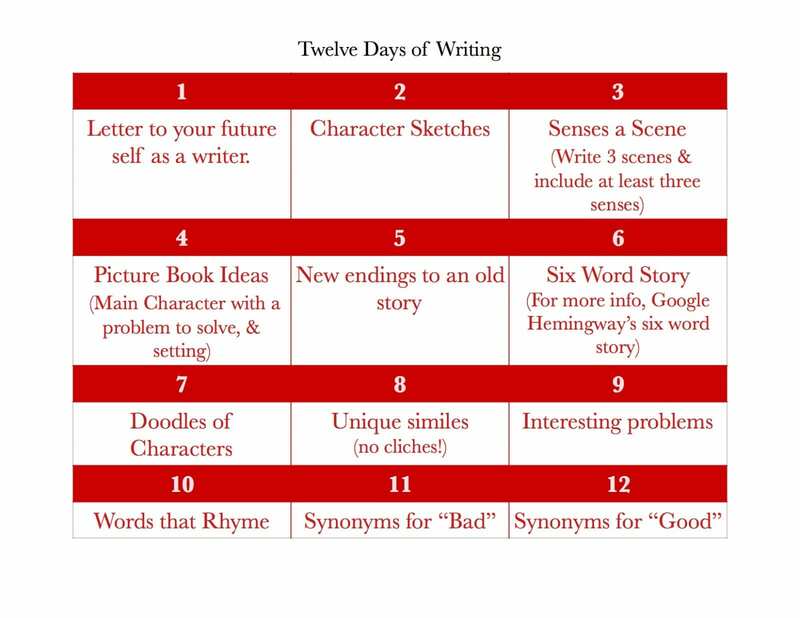 Here’s a pdf of the 12 Days of Writing so you can download, print, and keep writing!